In the last year, the odds are that you binge watched at least one TV show, or at least got carried off into a fantasy world for a dozen hours or so. So, if you’re gearing up for a new season or just looking for a show to spend your time with, check out our TV and pizza pairings. All of the following programs were nominated for an Emmy in 2017, and each pizza is a cheesy interpretation of that theme. 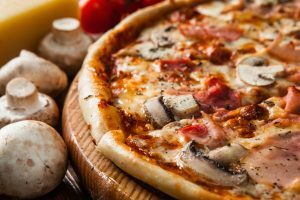 This British hit has earned plenty of high marks, but did you know that Britain recently voted for mushroom pizza as their most popular recipe? That’s right! So polish up your best English accent and give yourself the royal treatment with a mushroom pizza! This sci-fi thriller has captured countless imaginations with a futuristic Wild West theme. 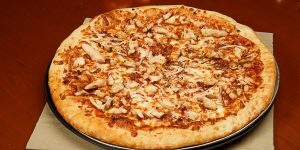 What’s better than delicious BBQ chicken pizza while you’re out in the Country? Giddy up with a specialty pie! Set in the hippest part of Portland, this comedy is at the height of what it means to be popular today. 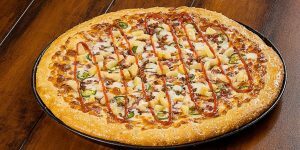 In honor of this theme we have to recommend the Angry Hawaiian, a sweet and spicy recipe topped with that hipster favorite – Sriracha sauce. We definitely couldn’t ignore the reality series that have earned multiple Emmy nominations this year. 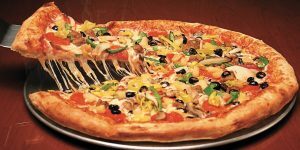 As the home of the best pizza in Phoenix, and in honor of ‘‘Top Chef’’ raising the bar on fine dining, we present to you the Sardella’s Works! 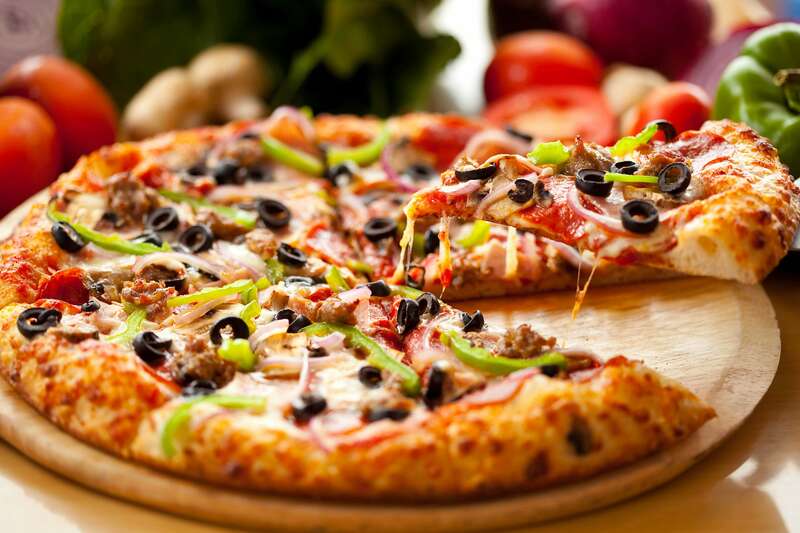 It’s an extreme experience worthy of ‘‘Top Chef’’ any day of the week with plenty of layers and flavor combinations. In honor of the stars that spend their lives getting healthy and completing feats of strength, a slice of nutritional goodness is the perfect choice. 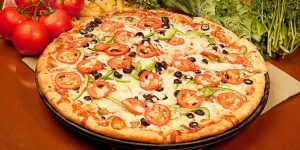 The All Veggie pizza is full of those low-fat, vitamin-rich veggies you need to inspire your own stunts. One of America’s favorite late show hosts was nice enough to tweet back in 2015 about his favorite pizza toppings. Oddly enough, he’s a big fan of peppers on pizza, and you should be, too! 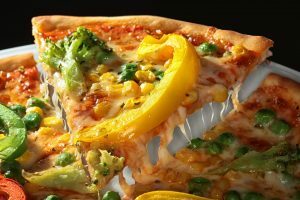 We hope these pizza pairings inspire you to throw your own award-winning pizza party or even just an extended viewing session on the couch. Order online or by phone today, each of our four Phoenix area locations is ready to serve up what we’re famous for, great food and fast, friendly service!